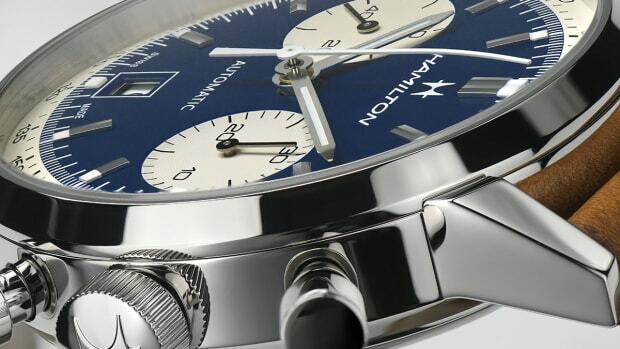 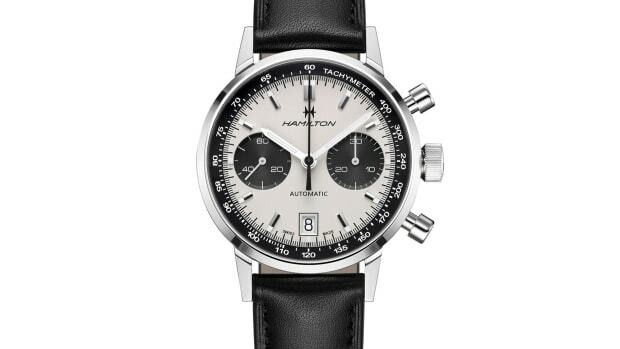 Hamilton is bringing back a retro favorite in the form of a new, but classically designed Intra-Matic that returns to the brand&apos;s panda-dial styles of the late &apos;60s. 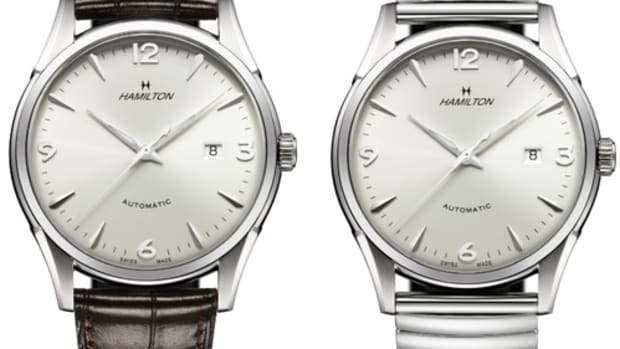 A popular color combo of the era, this particular dial was inspired by a design from 1968 an has been re-introduced in the Intra-Matic 68. 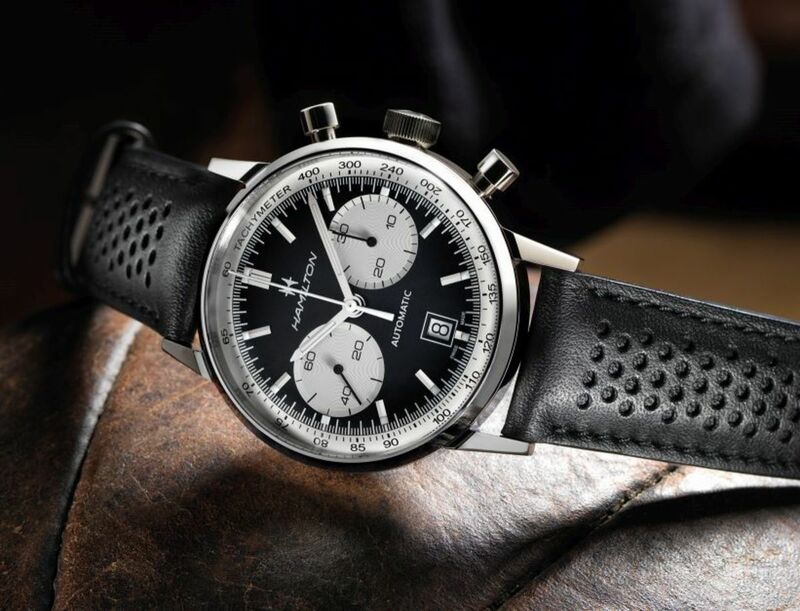 Limited to 1,968 pieces, the watch features a 42mm stainless steel case, AR-coated sapphire, an automatic movement with 60-hour power reserve, and a perforated leather strap.